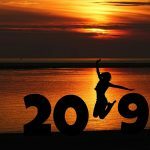 The 2019 Travellers’ Choice for the top 25 destinations in the world has been voted for by travellers on TripAdvisor. TripAdvisor is a brilliant way of seeking out new cities to visit. We are thrilled that Marrakech has made the top 10 – it’s number 9! The city is also the number 1 destination out of the whole of Africa! Marrakech is receiving more tourists than ever, including travellers from far-away countries such as China and Australia. View our TripAdvisor account here. 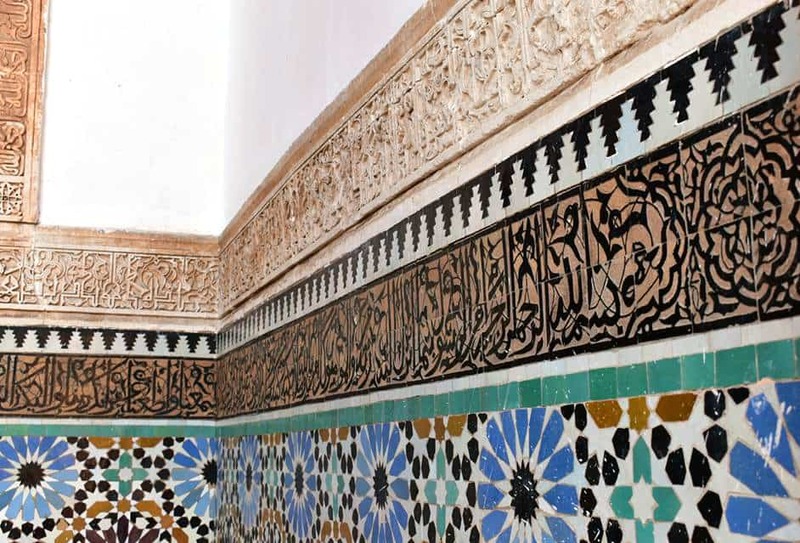 Traditional Moroccan zellij tiles can be found in the Saadian Tombs in Marrakech. Marrakech is still a city based on an older way of life, with modernity seeping into the heart of the city. As you wander through the bustling streets with malls, yellow taxis and nightclubs, you will also come across little treasures that make Morocco unique. From the cafés that serve traditional Moroccan mint tea to the Medina with its narrow alleyways which conceal the beautiful riads behind modest doors. You will marvel at the architecture and the traditional Moroccan tiles (zellij) in buildings such as the Bahia Palace and the Saadian Tombs. Experience Djemma el Fna in the evening and explore the food at one of the restaurants or food stalls on a day tour of Marrakech. Marrakech is a magical city and the sellers, fortune tellers and performers that you encounter in Djemma el Fna are out of a storybook. It is a good place to go to see traditional Berber and Gnaoua performers wearing traditional outfits. The square is bustling and full of intense sights and sounds, with people all around you. We prefer to sit upstairs on a café rooftop and watch it from afar. Djemma el Fna dates back to 1050 AD. The site used for public executions. Hence, it’s name translates to ‘Assembly of the Dead’. Times have since changed. Djemma el Fna is now used for tourists and locals alike. Crowds converge in the square to go shopping in the souk, visit restaurants and hang out. In 2001, UNESCO declared the square to be a ‘Masterpiece of World Heritage’ due to the presence of storytellers who passed on old tales with wisdom and wit. Nowadays, we see more acrobats, singers and snake charmers, with horses and carriages wandering past the crowds in the bustling square. 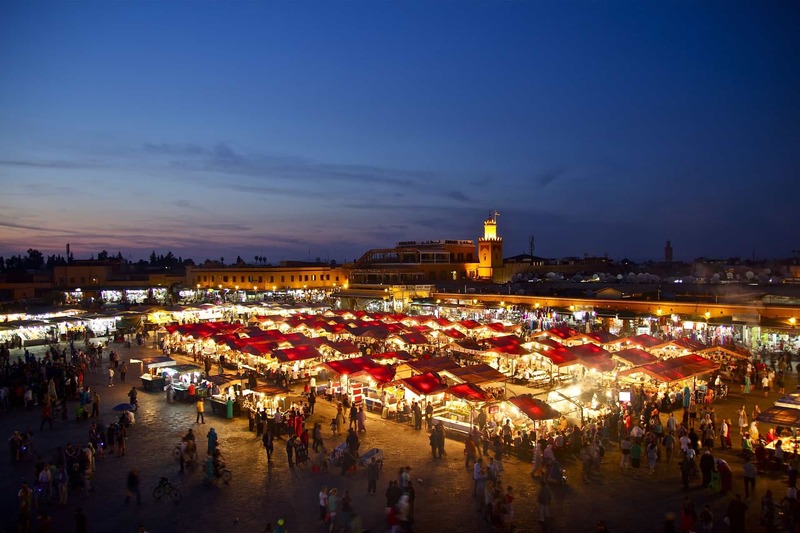 Djemma el Fna is a must-do for first time visitors to Marrakech and we recommend our Marrakech sightseeing 1 day tour. 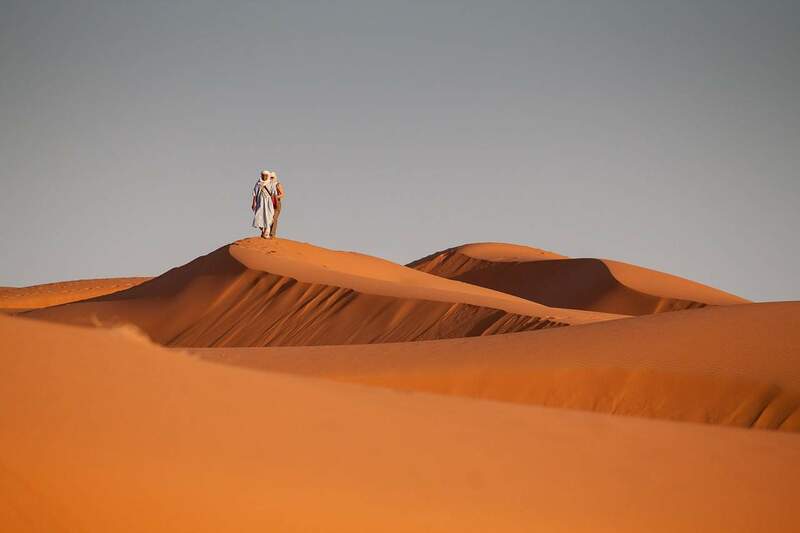 Visit the spectacular Sahara desert and experience the life of a desert nomad. 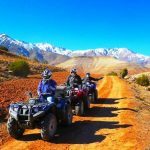 Sir Driver Tours will customise your tour so that you get the experience of a lifetime. Marrakech is a great destination! Thank you! You are welcome anytime!